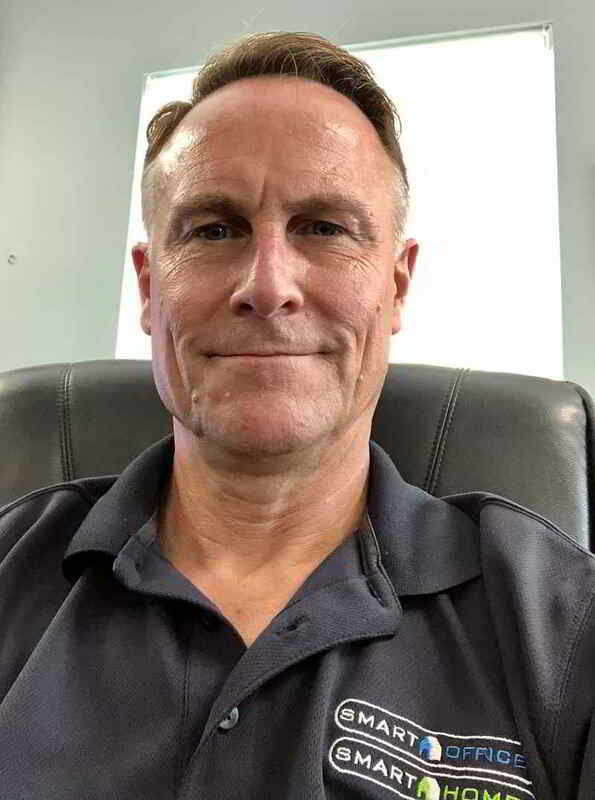 John Gilluly has 34+ years of professional work experience with five years as a material scientist and quality manager, 19 years in management consulting and software development, and the balance running Smart Homes and Smart Offices (SHSO) a custom AV and IT integration company. He has leveraged his business consulting experience working with companies to develop robust Quality and Management Systems for Smart Homes and Smart Offices based on ISO, and TS-16949, leadership training, and applying statistical problem-solving techniques to develop an empowered, customer-focused company. John has obtained professional certifications for Crestron D3pro Basic and Advanced Lighting, CAIP level Crestron Programming, System Builder, DM Design and Installation, Lutron lighting and Shade systems, Control4 level 1 and level 2 certifications, Vantage lighting systems, and Polycom and Lifesize video conference systems. He has also attended numerous vendor and industry training programs to stay current with the ever-evolving IOT systems. He continues to consult and train as time permits and programs automation systems and .Net applications with the teams at Smart Homes and Offices. John enjoys spending time with his wife Karen, and two children as well as biking, squash, woodworking, and pottery. John started as a Residential & Commercial Journeyman Electrician in 1988, joined IBEW local 665 in 1994 and worked with FD Hayes at Jackson National Life until 2007. Then, John went to work for Jackson National Life to coordinate electrical, data and AV needs until joining the Smart Homes / Smart Offices team in July 2018. John brings many years of experience to the team and is always learning and sharing his experiences with the younger generation. He often thinks outside the box on various projects; overcoming obstacles during A/V and automation installation and configuration. John enjoys golfing, mountain biking, camping (NOT in a tent and yes air conditioning), racing, and riding dirt bikes with my boys – but most of all spending time with family. 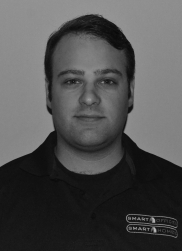 Jon serves as a liaison between our engineering department and our clients. He provides support and coordination in scheduling between our customers and installation teams. 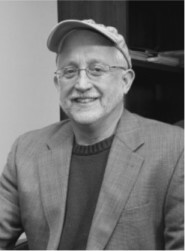 An MSU graduate with over 30 years of experience in sports marketing, Jon brings with him a wealth of knowledge and experience in organizing events, resource management and customer service. We’re thrilled to have Jon on the Smart Homes & Smart Offices team! As a tennis pro, if you need help with your backhand, Jon can assist with that as well. He enjoys traveling, fine cuisine, artistic welding and the great outdoors, but his favorite past time is spending time with his wife and three children. After over 20 years in the classroom, Karen has decided to come home and use her background to support the Smart Homes staff. She holds a Bachelor’s Degree in Mathematics, a Master’s in Statistics and Operations Research, and taught Statistics at Lansing Community College for 22 years. Karen is passionate about anything numbers, and we’re happy to have her attention to detail, and data capture and analysis available to us. Her focus at Smart Homes is on supporting Accounting, and maintaining office systems improvements. 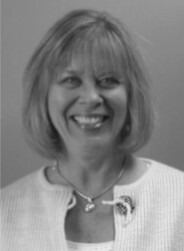 In her free time, Karen enjoys spending time with her family, bike riding, and volunteering at Montessori Radmoor School. Darian will be assisting Lisa and Karen with all of the main office work. She can put together a mean spreadsheet. Her first job was at a Currency Exchange in Chicago. She has done math tutoring, helped run my mom’s daycare center, and just recently finished an underwriting internship for an Excess and Surplus line broker. 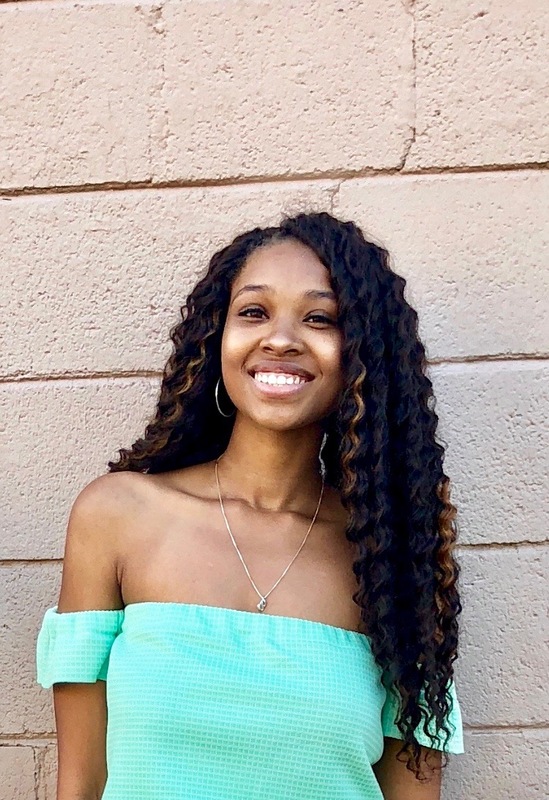 During her previous internship, she took on a lot of projects aimed at redesigning and optimizing various data analysis tools used by the department. Darian’s spends her free time hanging out with her doggos. She can name all of the US Presidents in order. 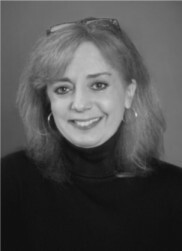 Noreen joined our Sales and Marketing team in January of 2013. As a Sales Consultant, she works closely with clients to determine technology needs for their home or office and then serves as a liaison between clients and our design team to bring their vision to light. Now working out of our satellite office in Traverse City, Noreen is dedicated to expanding the special expertise of Smart Homes & Smart Offices to a whole new area. Noreen holds a BA in Journalism from Michigan State University. Her extensive background in Education, Human Resources and Business to Business Sales, coupled with her strong communication skills and warm personality, make her a wonderful addition to our team. Noreen enjoys volunteering in her community, long bike rides with her husband, traveling and spending time with her children. Tony has been with us for over a year. 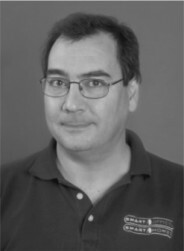 Tony ensures our clients’ needs are met and satisfied whether that may be home, office, or web development. Tony understands what the customer wants, and makes sure the project gets delivered and installed as discussed. Maintaining relationships with our customers is a top priority. He believes in vast knowledge of current and future technology can be very important to see how it can be incorporated to our client’s setups. 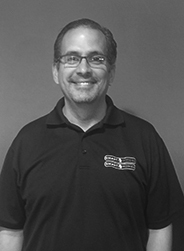 Tony has over 9 years of customer service experience which has taught him how to provide the best business/professional practices that our customers deserve. He enjoys being outdoors and doing activities like fishing and camping. He continues to play hockey and lacrosse which he loves. At home Tony dabbles with software development and technology research. Hannah is working on her Bachelor’s in Journalism and Public Relations from Michigan State University. She has four years of experience working for various publications producing written and visual content for websites, blogs and social media accounts. 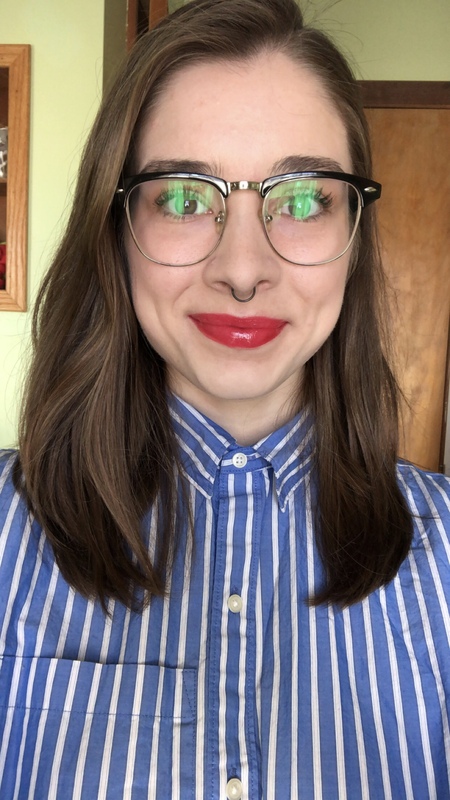 Hannah is part of the marketing team tasked with creating website content and increasing traffic to and interaction with those websites. She thrives when it comes to writing well, paying attention to detail and producing quality content with a team. Hannah takes any opportunity to write as much as she could. She asked lots of questions and made sure to adhere to the standards set by every company she has written for. Hannah enjoys listening to new music, watching good shows and reading books. Jeff began his pursuit in electronics when he became an install technician for a professional dealer of broadcast equipment. Shortly after graduating from Ferris State University with an electrical engineering degree, back when everything was still analog, he developed a keen interest in the evolution of analog audio and video to the “digital revolution”. 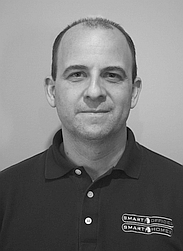 As the industry has continued to develop new digital media technologies and merge Audio/Video with networking technology, Jeff has dedicated nearly 25 years of his professional career working with some of the leading industry manufacturers in video servers and control systems. His experience and knowledge are a welcomed addition to our team. Greg grew up working on electronics projects ranging from shortwave antenna installations to speaker cabinet designs and music production. He has worked on installation projects both in the U.S. and overseas and trained individuals and groups to use audiovisual systems. 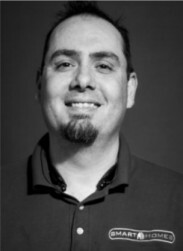 Greg works as a part of our engineering team and brings his experience with a wide variety of audio, video and control systems to our team. 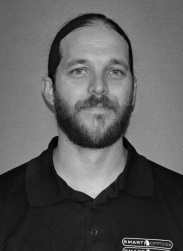 Greg excels at evaluating system designs, complex audio and video system routing, physical and digital system wiring/connections, system service and troubleshooting, and control system programming. Greg grew up building computers, repairing and troubleshooting equipment and setting up home networks. Working as a professional A/V installer gave him exposure to a wide variety of products as well as experience dealing with a wide variety of commercial and residential building projects. Greg also just enjoys learning and holds a number of certifications including a certification from SAE-Institute Atlanta in Pro Audio. Greg is also an AVIXA Certified Technology Specialist. Greg enjoys cycling, kayaking, and photography. He learned German while living overseas and enjoys reading, writing and speaking in German as the opportunity arises. Jack is currently a student at Michigan State University. 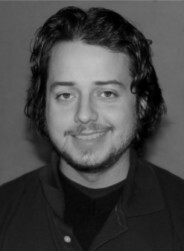 He is working closely with our engineering team to design drawings and systems for quotes and future installations. He works with the team to test any new equipment before installs as well for easy integration. He also handles shipping and receiving, updating the database with inventory and new product information, and restocking products. In his free time, Jack is very involved in the community. He is the Assistant Tennis Coach for Okemos High School and a Board Member at Montessori schools. He also enjoys 3D modeling and printing for fun. 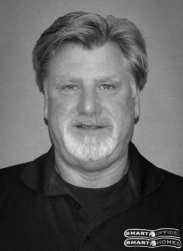 Bob joined the Smart Homes & Smart Offices team in 2013. As a software engineer, Bob writes custom software programs and provides database support to our clients and our own SHSO team. Bob holds a Bachelor degree in Computer Science from Michigan State University and has over 33 years experience in programming and management services. In addition to his long and accomplished history with the State of Michigan as a software developer and manager, after his retirement in 2002 Bob has been providing contract programming work for private companies as well as the Detroit Public Schools. When he’s not mentoring youth on the importance of outdoor heritage and conservation, you’ll find him spending time with his family and hunting. Bob, and his lovely wife Lisa, have been married for 44 years and have two sons, Dan and Andrew. They’ve been blessed with two granddaughters, Kaylah and Anabelle. Bob is a self-ascribed hockey fanatic. Every chance he gets, Bob cheers on his granddaughter, Anabelle, who plays AAA hockey in Plymouth for the Compuware girls 12 and Under team. In addition, Bob is an avid walker, completing a half marathon with his loyal walking buddy-Jolly, his three-year-old retriever. Steven is currently a student working on his computer science degree. He is passionate about websites, software and computer hardware knowledge. He spent 6 years repairing and wiring aircraft computers in the Air Force. He is now eager to serve everyone in the greater Lansing area. In his free time, Steven enjoys listening to music and growing his vinyl collection. Brad has joined our Software Development team in March of 2019. He is finishing his degree in Information Technology from Central Michigan University. During his college career he has developed an understanding of various programming languages that has made him an essential part of our team. He is currently working with our team to develop webpages as well as create applications for our clients. His previous experience in customer service enables him to be able to relay the pleasant and prompt service that our customers deserve. Will is a Senior Information Technology Manager with a strong, demonstrated 25+ year history of working in the information technology and services industry. 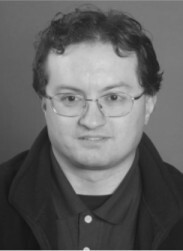 He has operated his own IT engineering and support company for numerous years and has been employed with various companies, including aiding Quantum’s launch of the original AOL software platform, helping establish pre-Dell Alienware, and worked extensively on IT infrastructures while on active duty in the US Army. Ben comes to our team with a very strong background in IT technologies, and is in fact very passionate about anything technology related. 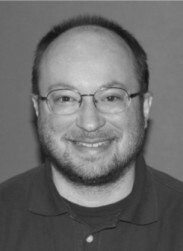 He has worked professionally in IT support since 1999, and has both an Associates in Computer Support from Lansing Community College and a Bachelors in Computer Networking from Davenport University. Most recently, he spent 7 years with the Charlotte Public Schools Media and Technology department, 5 years running his own IT company, and creates video memorials for Pray Funeral Home in Charlotte. In his “free-time” he loves to further his knowledge in emerging technologies, recreational reading, and traveling with students from Journey House Campus Ministries all over Michigan. David holds both an Associates Degree in Computer Networking and a Bachelors Degree in Computer Information Systems from Baker College. He also holds dual Bachelors Degrees from Davenport University in both Computer Networking and Computer Security. Because technology is always changing, David keeps up with the industry by participating in continuous learning programs. 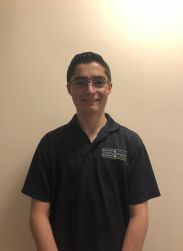 In his free time, David volunteers his time and talents with the Business Professionals of America (a technical career and networking organization) at the Regional, State and National level. He attends West Michigan Cisco Users Group meetings, where he stays up-to-date on Cisco systems. Fun fact: David is also a trained severe weather spotter and hopes to one day bring his watchful weather knowledge to the masses over the Ham radio. Scott has worked in construction trades for over 10 years. He attended and graduated from electrical trade school and is a licensed journeyman electrician. His background gives him a good understanding of the construction process and the ability to work well with other trades. Scott has been trained in multiple control systems (such as Crestron, Vantage, Lutron and Control 4) and is passionate about automation and integration. 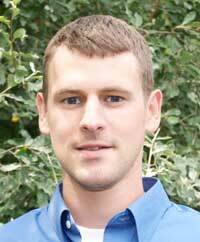 Scott is our newest member to join our Smart Homes team. 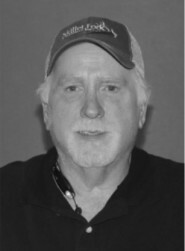 He brings decades of handyman experience which is ideal for installing equipment with care. Whether it’s in the construction phase or retrofits for a project, Scott is always a step ahead when it comes to planning out the most appropriate procedures and carries them out in timely, very efficient manner. Teaming with project management, Scott organizes projects and estimated completion times to make the process smooth for both Smart Homes and its customers. We are glad Scott is part of our growing team! In his spare time, Scott is an avid wild mushroom collector. You’ll be sure to run into him at various Michigan fungus festivals and spreads his knowledge of safe mushroom hunting to others. Chad is a jack-of-all-trades installer with Control4 programming under his belt. He brings a lot of hardware knowledge and experience to our team. Quick on his feet, Chad has exceptionally strong problem-solving skills. With his own custom home theater setup, Chad has already encountered most of the problems associated with setting up custom equipment to not only look great but also sound awesome. David has worked on many odd jobs over the years. He has worked at a local golf course, done lawn maintenance, and helped his family with renovations. This has given him experience with working with electrical work. At SHSO, David is an intern. He currently works with inventory. He will be starting programming shortly. David works well with others and is detail oriented. He is able to get things done in a timely manner. In his free time, David likes to wrench on his car and spend time and help out his friends and family with their projects. One interesting fact about David, He is 50% Armenian.